Health Maintenance For Your Jewelry? 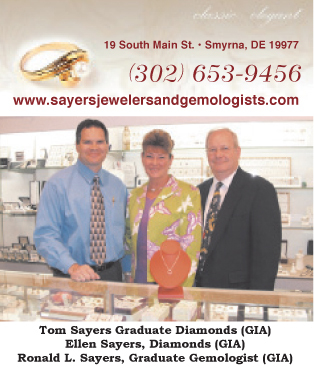 The Love Doctors at Sayers Jewelers and Gemologists have over sixty years experience in jewelry therapy. Our specialties include but are not limited to; Heart rates elevated with the addition of a gold or platinum band applied to the ring finger of a lady or gentlemen. Eyes dialated with the brilliance of fine quality diamonds. The sense of well being knowing you have a safe investment in precious metals and diamonds. You maintain your physical health to live longer and feel better. We maintain your prized jewelry possessions to extend their life and beauty. We can do a jewelry face lift to make your rings look younger. At your request we can do implants on your rings to enhance the size of your diamonds and get that Wow from your friends. 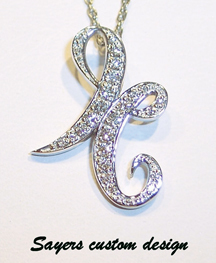 Spring, a time to clean, repair, restore, or remake your existing jewelry. the warm weather will bring. It is the perfect time to have your jewelry professionally cleaned and checked for stone security. Most folks are unaware that gold or platinum can wear off of the prong tips on rings and chain links and clasps can become dangerously worn to the point of loss. At least once a week a customer comes to us to supply them with a new diamond for their engagement or wedding band because they forgot to have their jewelry professionally checked for security. How sad to wait on a customer who has lost the diamond they were engaged with, or possibly one that was a cherished gift from a parent or child. 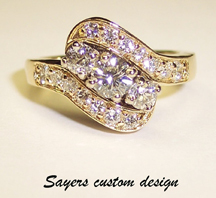 At Sayers Jewelers and Gemologists we have a highly trained staff of technicians with state of the art equipment to handle any inspection or repair situation. Our inspections are conducted with the use of high powered gem microscopes which can detect hair line cracks in prongs and ring mountings that can go undetected with ordinary jewelers loupes. We also link these microscopes to monitors so you can see for yourself that your jewelry is either safe to wear or in need of service. And best of all, your jewelry is inspected and cleaned in our ultrasonic cleaners free of charge. Should you need a simple repair, refinish, or complete restoration, all work is done on site with meticulous attention to detail. 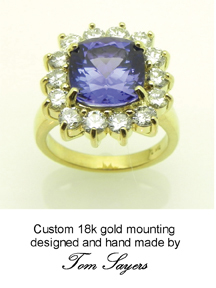 Should your jewelry be beyond practical or cost effective repair the gems can be remounted in into new jewelry items. These can be basic solitaire rings or one of our many ring mountings with side diamonds to give your original diamond a new updated look. We have hundreds in stock to choose from and many can be reset for you the same day. 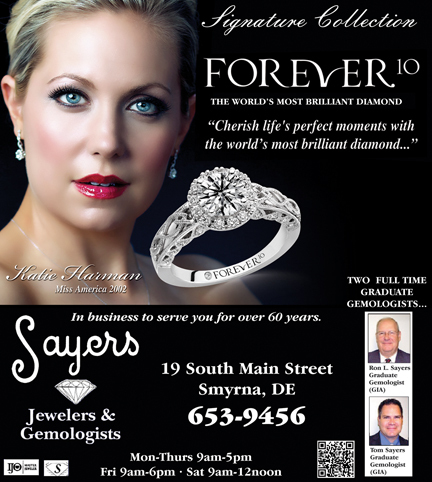 Sayers Jewelers and Gemologists has two full time GIA graduate gemologists to serve you as well as other staff members that have their diamond diplomas. You are assured you are dealing with a professional who knows his product and can guide you in the right direction to make sure your jewelry investment is a wise one. seen a more brilliant diamond. 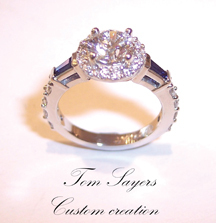 to see the story of Sayers Jewelry.